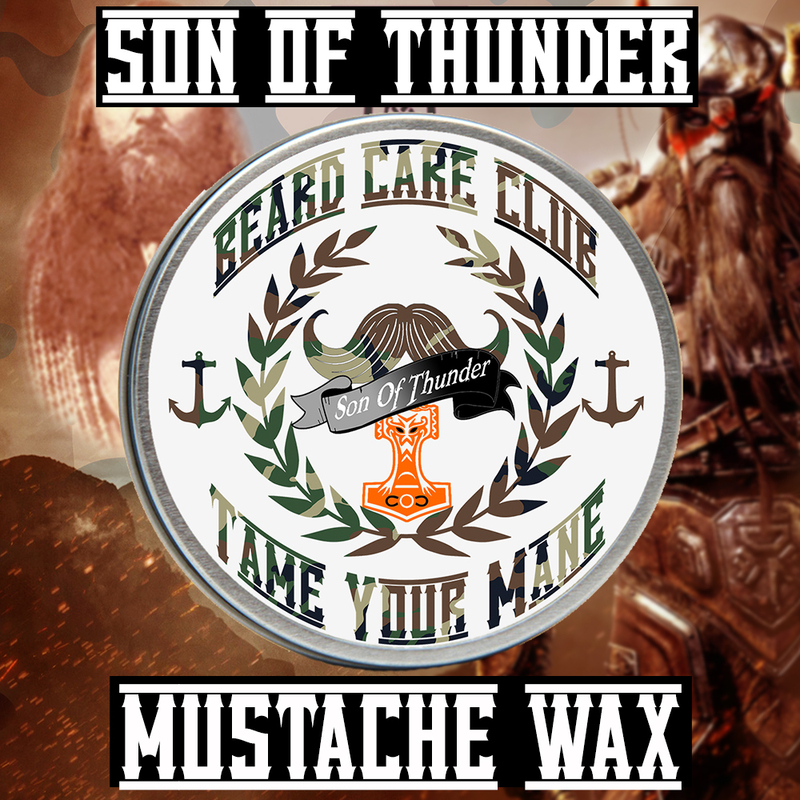 Son Of Thunder was forged in Valhalla with the blood and sweat of Viking gods. The vessel that contains the mustache wax was hand crafted from Thor's hammer. The wax itself was created using tears of a Liger, the blood of Great White sharks, and the teeth of a Tyrannosaurs Rex. We blend this all together using a broad sword and a battle axe while screaming "you can't stop me!". It took 761 years to create this mustache wax, luckily reincarnation comes easy thanks to owning a majestic beard. Once you put this on, you will have the strength of 10,000 men, agility of a cheetah, and the speed to run a mile in under 2 seconds. Mortals can't resist this scent and will kneel in your presence. Donning Son Of Thunder comes with great responsibility...... you have been warned.